One thing I like to do periodically is clear out old apps I never use. 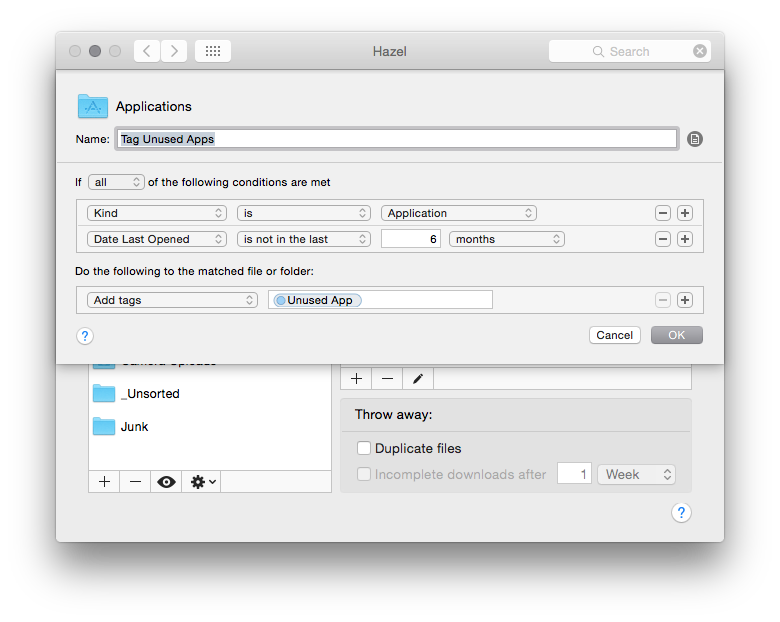 Thanks to Hazel, we can automate the tagging of apps that haven’t been used in a while. This makes it easier to see which apps we might want to uninstall from our system. We can achieve this by applying 3 rules to Hazel. Rule 1: Is this item an app that has not been opened in the last 6 months? Let’s give it an Unused App tag. Rule 2: Is this item an app that has been opened in the last 6 months, and does it have an unused app tag? Let’s remove the Unused App tag then. Rule 3: Is this item a folder? Run all three of these rules on each item in the folder, allowing us to delve down into the folder hierarchy. I went with 6 months as a good period of time before I’d consider an app “unused”, but you can of course change this to anything you like. Just be sure to make certain that the first two rules share the same value. There are some limitations, most notably that it won’t be able to tag applications installed by other users, and also apps which start via some means other than being manually launched (e.g. : auto-start on login) will get flagged as unused. 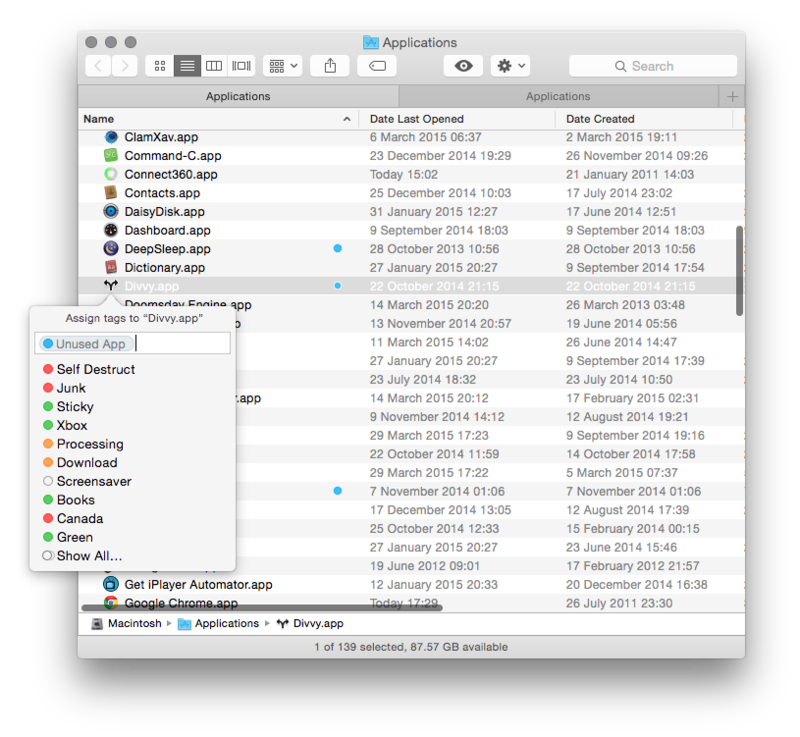 You’ll also need to manually set up a tag for Unused App in the Finder, and give it a colour so it stands out. You can download the Hazel rules for your Application folder here, or enter them yourself using the screenshots above.